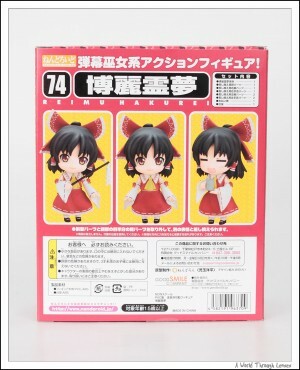 I have indicated in my post on Nendorid Hakurei Reimu and Kirisame Marisa that I have ordered Nendoroid Remilia Scarlet. 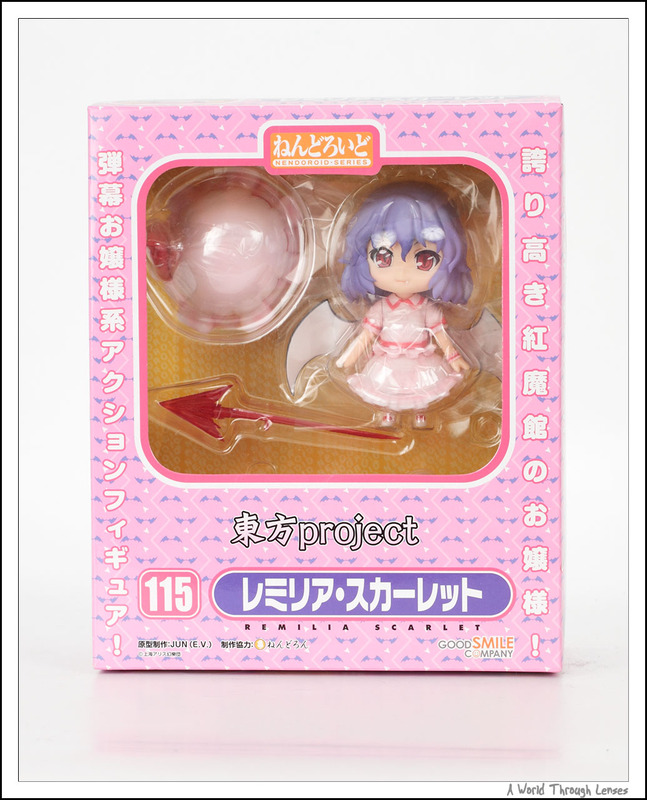 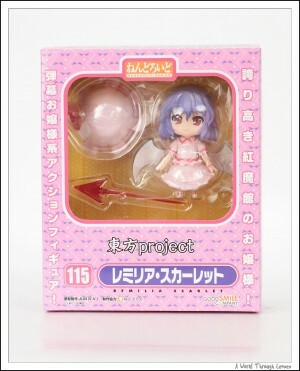 Remilia Scarlet like the other Touhou Project Nendorids are only available in a very limited number of shops. 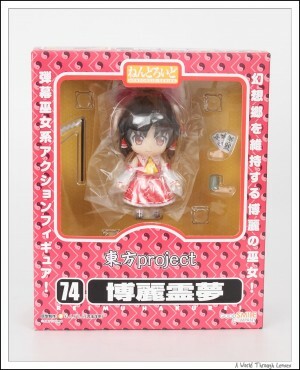 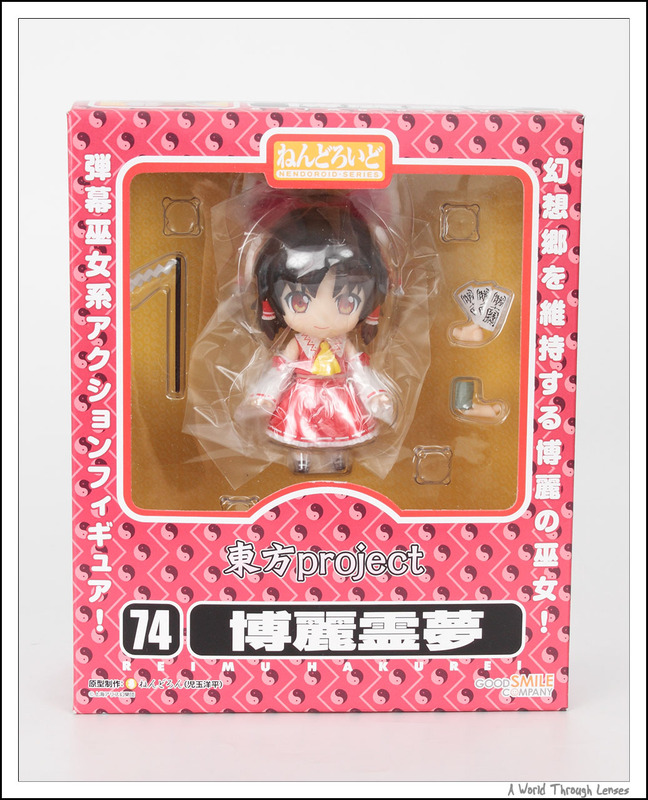 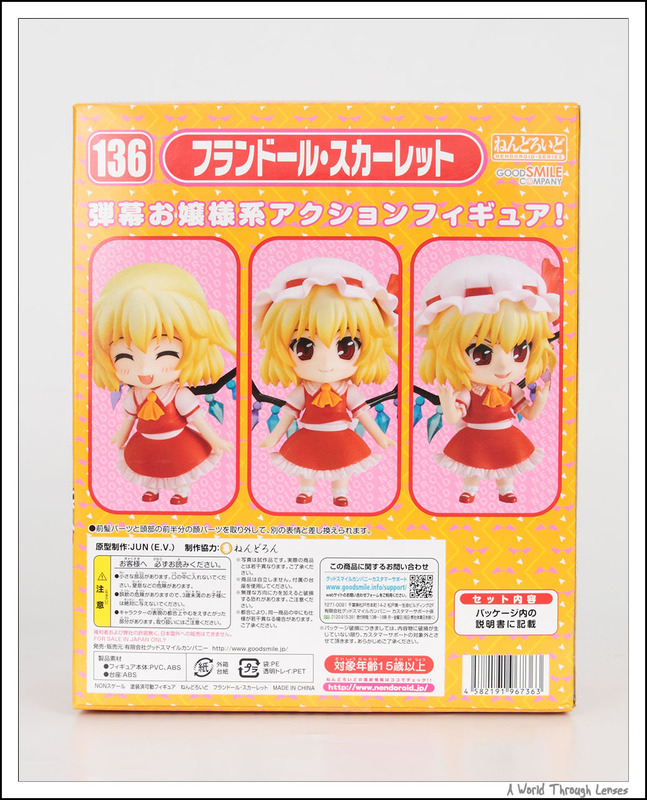 And like other Touhou Project Nendoroids, none of the shop will ship overseas. 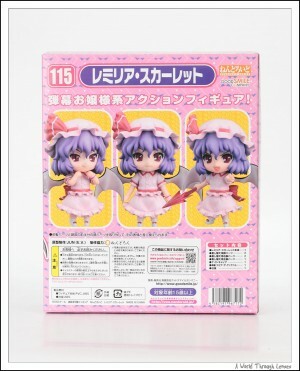 So the list of shops that one can order Remilia from is Niconico Chokuhan, Animate, Gamers, and Tora No Ana. I got mine ordered at Animate back in April 2010. And now it has arrived. Nendoroid Remilia Scarlet by Good Smile Company. 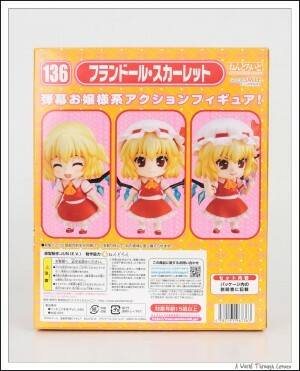 (ねんどろいど レミリア・スカーレット). 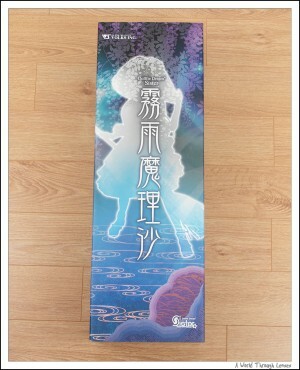 Original sculptor JUN (E.V.). 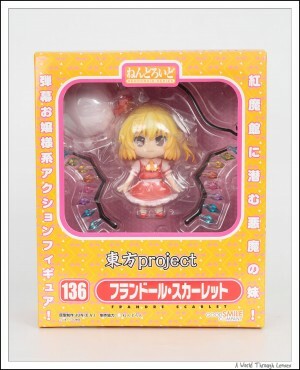 Released on September 2010 with MSRP of ¥3,000.